We are really happy and proud to present the second album by Bas van Huizen for Moving Furniture Records. After Kluwekracht he now returns with Waanzintraan where he goes further with his explorations in the harmony of noise. 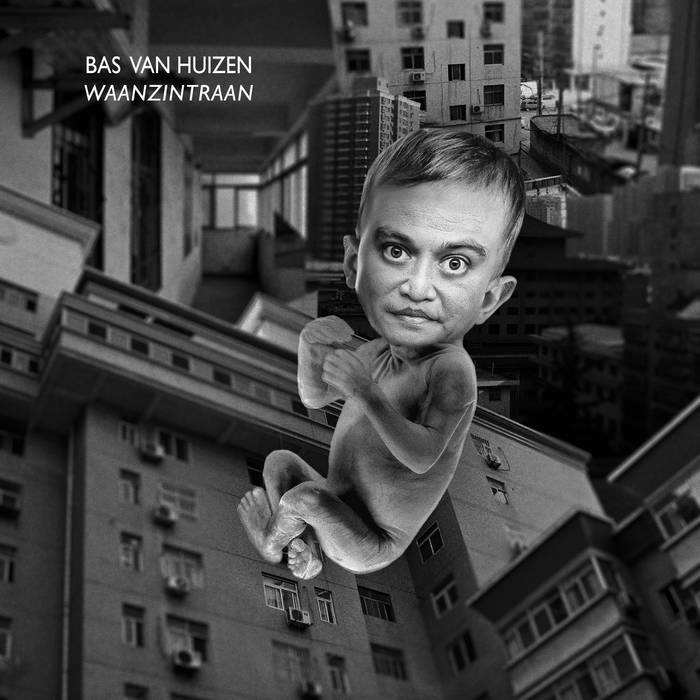 Waanzintraan is the first collection of music I produced in China. It even features some processed field recordings I made in Shanghai and Xi’an. I mostly explored noise though. Not as a genre excursion, but more as an aesthetic and visceral aspect. Waanzintraan is an album full of contrasts that’s surprisingly harmonic at times. Not only noise is a dominant theme in Waanzintraan, China and my life here also found its way directly and indirectly into the music. I decided to extend that to the visual part of the project by using backgrounds in the artwork and video that consist of material I shot around my neighbourhood here in Xi’an. Bas van Huizen is a Dutch artist based in Xi’an, China. He mainly uses guitar, voice, found objects and computer to record work that ranges from beat based electronic music under the moniker Basi Goreng to more abstract works under his own name. In 2013 he added another pseudonym to his discography with an experimental noise album by Shoganai. In addition to music and sound art Bas van Huizen is also active as a video artist creating animation, music videos, live visuals, and video installations. Due to time pressure and confusion the artwork of the CD is in an older version. But in the download you can find the original artwork and an extra video so be sure to check these as well.